And this, Billy, was the night that you were conceived.
" My two favourite things...my bow and my sister!" 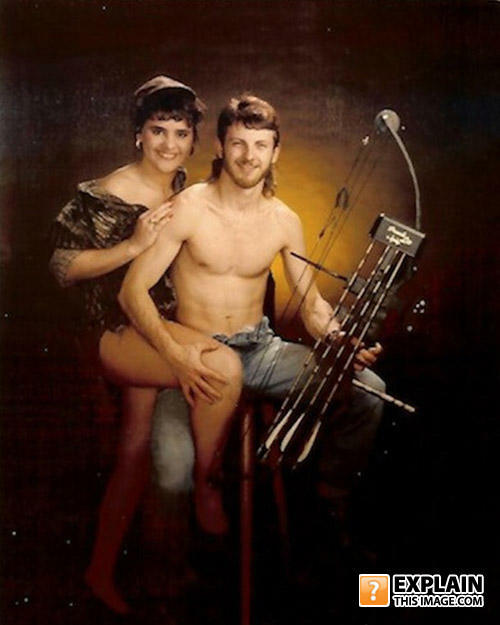 "Handling a Composite Bow gets u laid. Buy one today, dickhead." Bow Crafting Company. Their new family photo with their kids; Mountain Dew, and chew 'backer is pretty beautiful. In Kentucky if you get divorced your still brother and sister. WHY DOES IT SENSOR THE WORD "R E D N E C K" ????? WTF? R E D N E C K errotic photograhy..... OK Mr. Sensor? Right, and then after this photo, let's take some weird ones! A man walked into a bar. That hurt. BOY: Are you thinking what im thinking? GIRL: I dont know, what are you thinking?